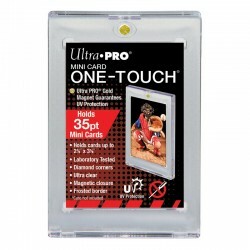 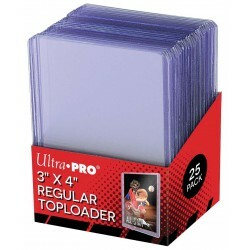 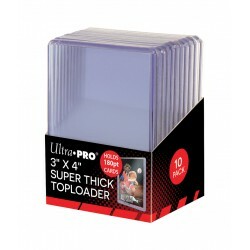 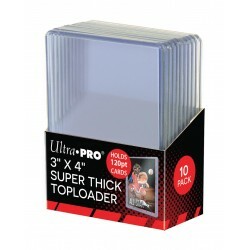 Ultra PRO's Mini Card ONE-TOUCH holders are premium trading card storage cases designed as the final destination for your collectible mini card size trading cards. The two-piece ONE-TOUCH holders are uniquely designed with slide-in hinges and magnetic closure so you'll never have to use a screwdriver again. 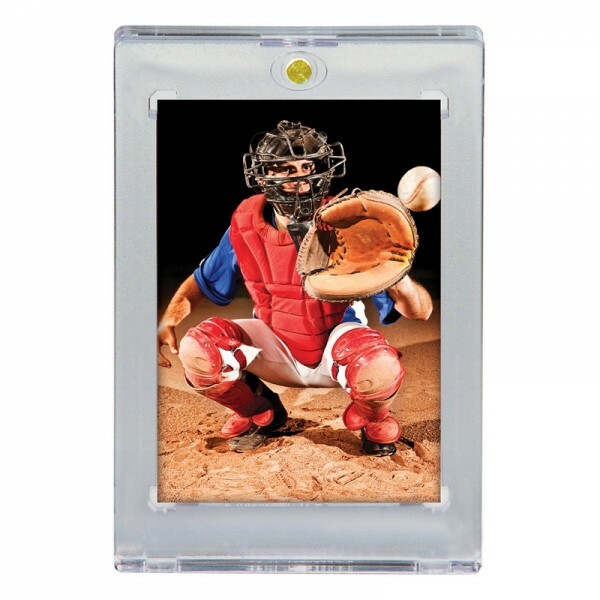 The holder uses UV-blocking additives to protect your card from harmful UV-rays, and is made with non-PVC materials to provide acid-free protection - ensuring your valuable hit retains its condition while under display. 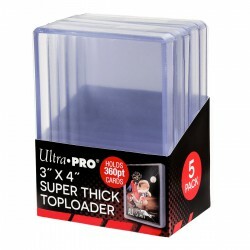 Our Mini Card ONE-TOUCH holders are ideal for presenting prized and super rare gaming cards as well. 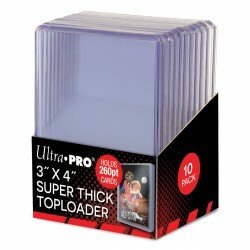 This model can hold Mini Card Size Cards up to 35pt in thickness and up to 2-1/4" x 3-1/8".